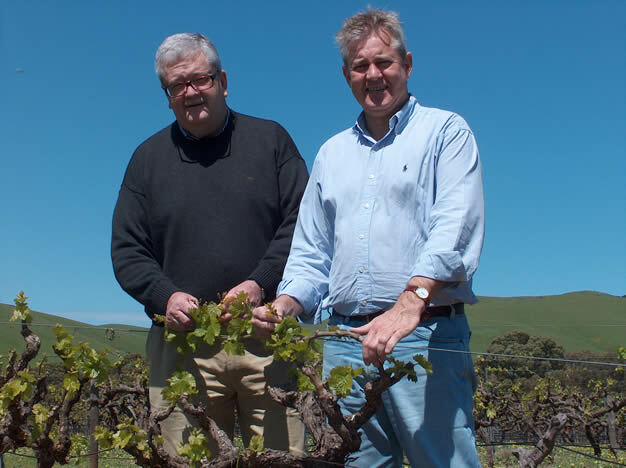 Clancy Fuller is a relative newcomer on the Barossa scene, and is the result of a collaboration between wine PR guy Peter Fuller (right) and wine book publisher Paul Clancy. The collaboration dates back to 1994, when they formed the Silesian Wine Company, but I suspect it’s because they’ve been busy elsewhere that the 1994–1997 vintages were just experimental, and only with 1998 did they take the plunge and release the wine. 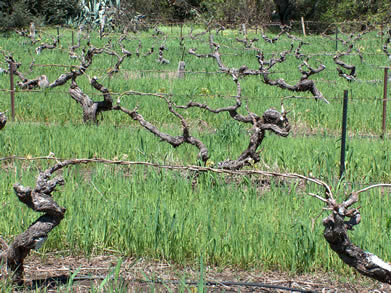 The basis for the wines are vineyards purchased by the partners in the late 1980s when they moved to the region. 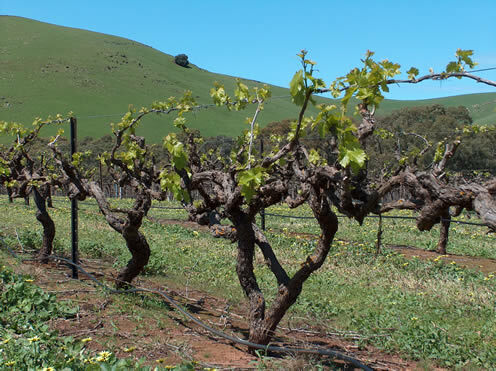 Peter bought vineyards in Bethany, one of which dates back 120 years, and was originally planted by the Hueppauf’s, immigrants from Silesia, in the 1840s (right). Paul bought a spectacular property at Jacob’s Creek—his house looks out over his old vineyards to the hills, a truly gorgeous view. They were helped at the beginning by star winemakers Rock O’Callaghan and Chris Ringland, who helped make the first wine back in 1994. Current release is 2002 for all three labels.